CHICAGO -- Reflective of their high-caliber club and collegiate careers, four Eclipse Select Soccer Club alumni were chosen among the 32 players at the 2013 National Women's Soccer League College Draft held on Friday at the NSCAA Convention in Indianapolis. The highest-picked representative from Eclipse Select at the draft was midfielder/defender Casey Short (Naperville, Ill.), who was the No. 5 overall selection by the Boston Breakers. "It's such an incredible opportunity. It's a dream come true," Short said. "I've always dreamed of being able to play professionally, and to be playing with some of the best players in the country that I've looked up to all my life, I'm so blessed and excited for this opportunity." Chicago soccer fans will not have to travel too far to see two of Eclipse Select's own as defender Rachel Quon (Lake Forest, Ill.) and goalkeeper Taylor Vancil (South Elgin, Ill.) were picked by the Chicago Red Stars who are coached by Eclipse Select President Rory Dames. Former Eclipse Select goalkeeper Haley Kopmeyer (Troy, Mich.) was the 31st overall selection and a fourth-round pick by Seattle Reign FC. CHICAGO -- The perfect symmetry between athletics and schooling is something that every college hopeful looks for, and Eclipse Select U-18 defender Samantha Powers (Gurnee, Ill.) says she found that blend with Bucknell. Powers committed to Bucknell’s women’s soccer program in September and will be kicking off her first season with the Bison later this fall under head coach Ben Landis. 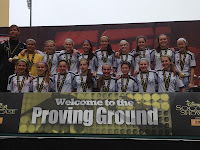 The Eclipse Select U-15 USYSA Black Girls team stamped its ticket to the 2013 US Youth Soccer National Championships as the club performed exceptionally during its recent trip to Florida in both USYSA National League and Elite Clubs National League play over the past week and a half. 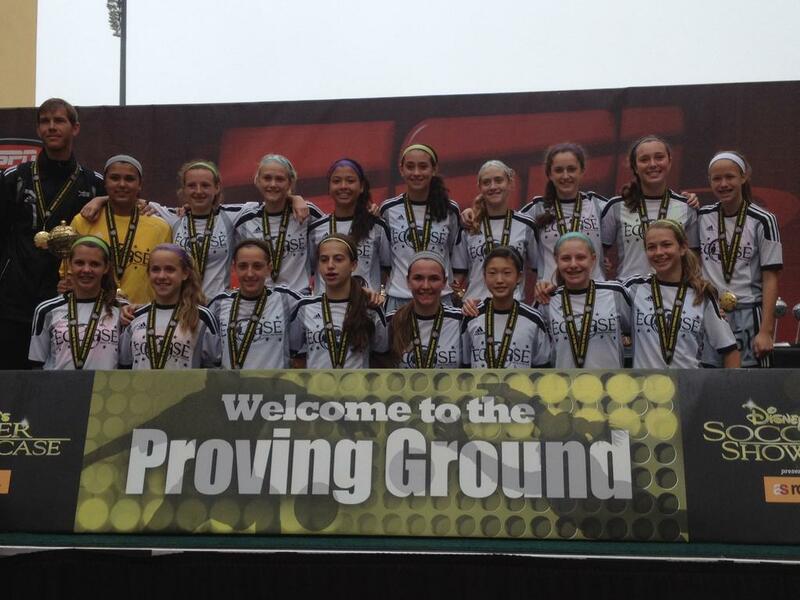 The U-15 USYSA Black team went 2-0-1 during its final three games of USYSA National League play from Dec. 31-Jan. 2, then defeated New Jersey, 2-0, on Thursday, Jan. 3, to win the Disney championship at ESPN's Wide World of Sports Complex in Orlando, Fla. The U-15 USYSA Black team officially qualified for Nationals with its 4-0 victory against HYS Freedom (Va.) on Tuesday, Jan. 1, with Zoe Redei (Highland Park, Ill.) scoring two goals, Foster Ignoffo (Geneva, Ill.) adding a goal and Gabi Hart (Western Springs, Ill.) capping off the scoring. 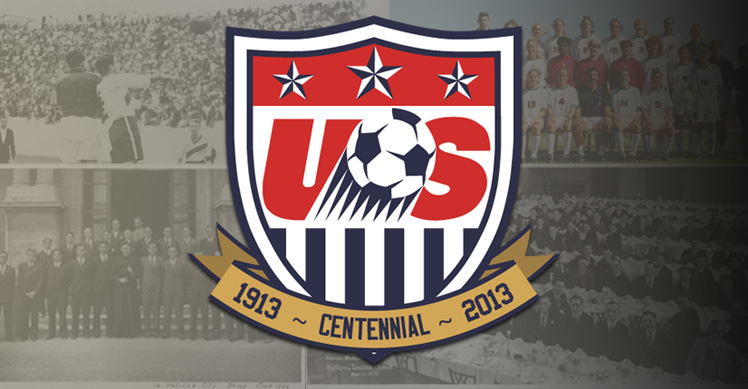 Make sure you bookmark this page as U.S. Soccer regularly is providing content throughout the year in celebration of its 100th anniversary. To kick off a look back at "100 moments," I put together a quick piece on the first Soccer Bowl, held on Jan. 1, 1950, at Sportsman's Park in St. Louis, where the University of San Francisco and Penn State played to a 2-2 draw -- a controversial stalemate considering the Nittany Lions equalized on a penalty kick more than six minutes into stoppage time.